NOTE that in the original book, there were no tables of contents or page numbers. ALL cartoons are from The Daily Worker The National Labor Daily published in New York City. These are high resolution (600 dpi optical resolution) scans in single bit black and white, made with a flat bed Epson GT-20000 scanner from the orignial book in the Riazanov Library collection. 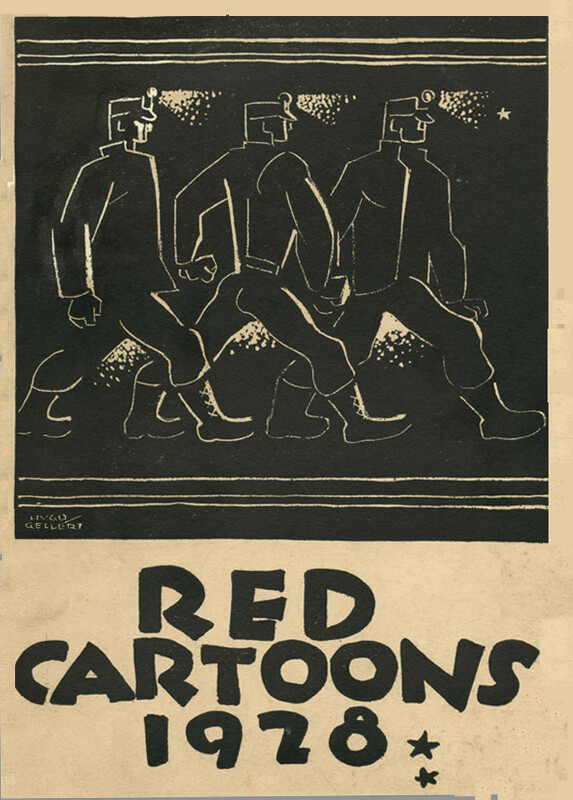 The book is edited by Walt Carmon, Editor Red Cartoons 1926, Red Cartoons of 1927, Red Cartoons of 1929 and Cartoons on the Case of Sacco and Vanzetti by Ellis from the Daily Worker of July and August 1927.